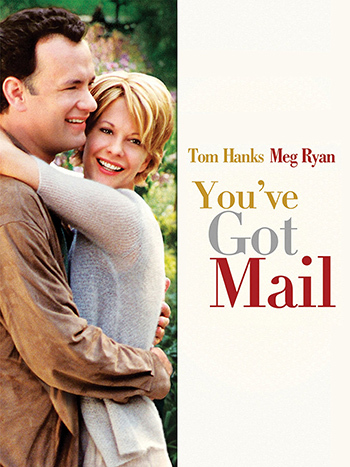 You’ve Got Mail – 20th Anniversary! This film is a part of a Double Feature with Sleepless in Seattle. When two movies that are screening in the same theatre are grouped under the same thematic heading, one ticket is good for both features when viewed back-to-back on the same day (except as noted). Tom Hanks, Meg Ryan, Greg Kinnear, Parker Posey, and Jean Stapleton. Tom Hanks and Meg Ryan portray the modern versions of secret pen pals, falling in love via email and chatroom even as they clash in real life as owners of opposing bookstores. This may sound familiar if you’ve seen The Shop Around the Corner or In the Good Old Summertime, the earlier versions of this equally delightful remake.